KirkwoodGolf: European No. 1 Georgia Hall joins star-studded Canberra Classic field. European No. 1 Georgia Hall joins star-studded Canberra Classic field. 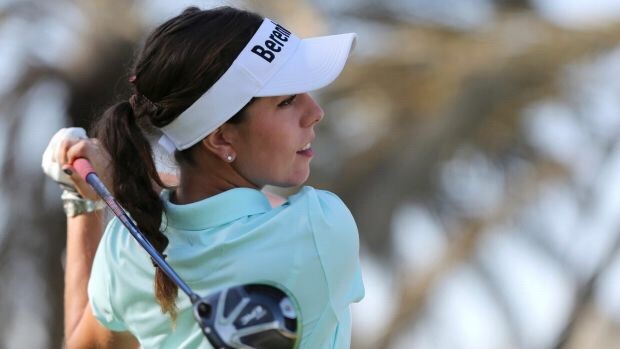 She's been dubbed the next big thing in golf and now European No. 1 Georgia Hall is looking to add the Canberra Classic title to her glistening resume. "When she was a junior as a 16 or 17-year-old she was touted as the next big thing," Lunn said. "It took her a while to find her feet when she turned pro but she really had that breakthrough when she won the Vic Open in 2016, that was her first big professional win. Then [she] went on to have a pretty decent year after that. "She is certainly recognised in golfing circles as one of the new really big things in women's golf. You're going to be seeing her name right up there." The Bournemouth product stood out at Solheim Cup level for Europe against the United States and her remarkable rise was acknowledged by her peers when she won the players' player of the year gong. Katherine Kirk and Sarah Jane Smith will lead the host nation's raid on the tournament returning from a five-year hiatus. "We certainly weren't expecting to have the quality of field that we're going to end up getting," Lunn said. "Obviously having the date the week before the women's Australian Open has really worked well for us. "A lot of the girls are coming out of the European and American winter and want to have a bit of a hit out so we've just got to take advantage of that and hopefully it will work in our favour. "We want this event to not just be back for one year but to be around for a while. If it can be successful in year one then hopefully that will stand us in good stead for the future."